The music contained in the latest installment of 2K's popular basketball franchise features more than 50 songs curated by DJ Mustard, DJ Khaled and DJ Premier. This is the most extensive soundtrack in NBA 2K history. 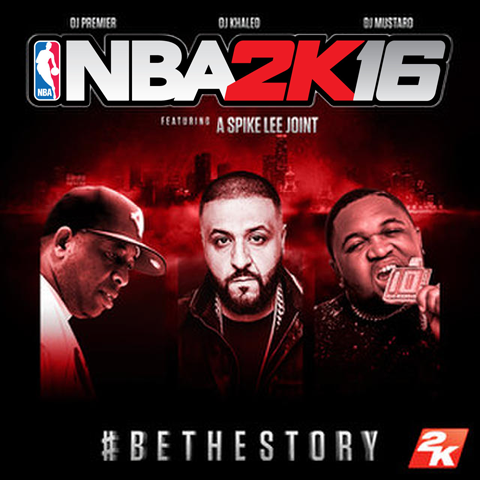 NBA 2K16's partnership with the three DJ's brings with it 2 custom tracks from each producer. The 6 exclusive tracks produced specifically for this year’s game will be released at a later date. NBA 2K16 releases at the end of September. Pre-Order today to receive the game four days earlier before the official release and get access to extra game content. Learn about all the cool features in NBA 2K16 including game modes, gameplay improvements, and presentation, etc. Visit our NBA 2K16 page.